Hello everyone! This is a post that I have been kind of putting off for a while, for no particular reason. I figured, heck it's about time that I do this post! 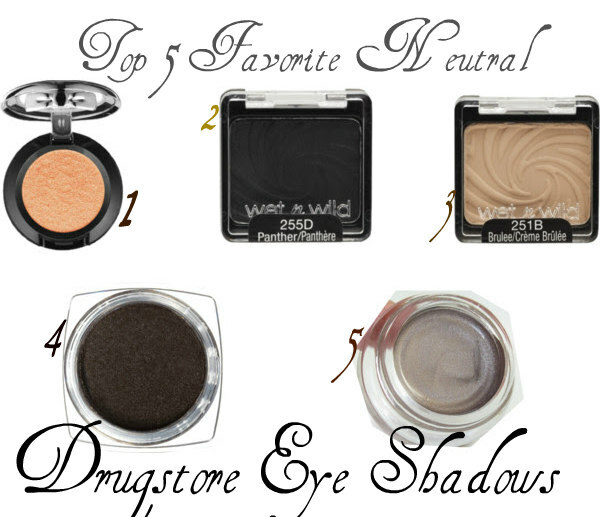 I wanted to chat about a few of my favorite drugstore eye shadows. I wanted to do my favorite drugstore shadows first because I have quite a few more favorites then I do of high end. I do think that you're going to see a trend because I am really fond of neutral shadows. I used to be really into colored shadows but I fell into a funk and it's hard to get out of! No worries though! I will have a colorful drugstore shadow list! Have you used any of these shadows before? I'm curious as to what your opinions of them are if you've used them!